Or “East wind rain,” which was the Japanese code words transmitted to their embassies indicated hostilities with the United States was imminent. While the Navy intercepted the first message to the embassies, outlining the various code words and instructions on what to do when or if they were used, they never actually intercepted the code word messages themselves. This is not all that unusual, as the Japanese were using several different diplomatic, army and naval codes at the outbreak of the war. Many different stations and frequencies were in use, and it is quite possible that the message was sent and never intercepted. According to the NSA, many, but not all of the Japanese Codes had been cracked and were being read regularly. The diplomatic code, known as Purple and well as a similar code, J-19 and a lesser version, JNA-20 were being intercepted and forwarded to Washington for decoding. Only JN-25 was being intercepted and decoded at Pearl Harbor prior to December 7th. In 1979 the NSA declassified over 2,000 intercepts. They declassified more in 1994. Those decrypts paint an interesting picture of the lead up and aftermath of Pearl Harbor. A good book is “And I was There,” by Edwin Layton. It was completed in the late 1980’s before the 1994 document dump. Layton was indeed at Pearl Harbor on the morning of December 7th. Layton does not come out and directly say that Washington knew of the attack, but rather that they should have known, warned Pearl Harbor but didn’t. By the first week of December, the Japanese tipped their hand several times. A bomb plot message was transmitted to the Naval Atache in Pearl on September 24th. 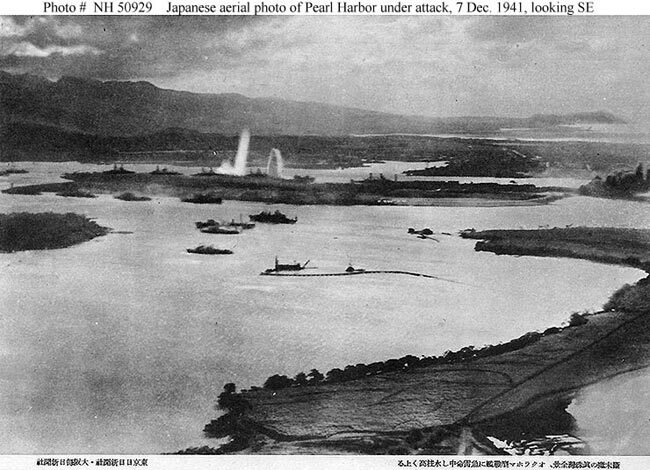 This message was sent in J-19 and requested information on shipping and locations within Pearl Harbor based on a grid. No other locations around the Pacific required such detailed analysis by the Japanese Navy. This was intercepted in Pearl but sent to Washington for decoding. No information from this message was shared with the military commanders on Hawaii. The Japanese striking force did not maintain radio silence during it’s transit from Japan to Hawaii, they sent of 663 messages, many of which were duly intercepted by Hawaii and the Navy intercept stations in the Philippines and Guam. The National Archives contains about 100 of those messages, however, the direction finding information attached to each message has been removed or remains classified. In addition to this, most of the JN-25 messages sent between December 1-7 remain classified. All PYB (long range flying boats) patrols from the Aleutains were discontinued in early December. Their patrol area covered at least part of the northern route from Japan to Hawaii. On the Evening of December 6th, Roosevelt was shown the first of 13 parts of a Japanese Diplomatic message which was a declaration of war on the US. The US code breakers and translators finished the decrypt and had it in the hand of the President hours before the first bombs were dropped on Pearl Harbor, even before the Japanese envoys had read it. It is also well known the Roosevelt wanted Japan to attack the US as justification for the entry of the US into WWII. In early 1941, Roosevelt sent a gun boat up from the Philippines nosing around the Chinese coast to see if it could stir up any trouble. The Japanese failed to take the bait on that and several other occasions. There is still quite a bit of controversy as to who knew what and when. Whether information was deliberately withheld, or not transmitted due to some concern of compromised intelligence or some bumbling bureaucracy is hard to tell. Certainly, the powers that be in Washington knew more than they let on. The military commanders on Hawaii took the fall and several thousand lost their lives that morning. Many more would die in the coming months and the Japanese tide rolled over the western Pacific basin. By the end of World War II, over 74 million people had died, most of them civilians. History, do not repeat thyself.